Plan to offer a delivery service for your food? 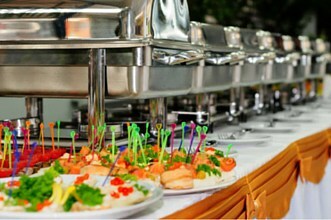 Our stainless steel catering vans are approved by NEA and AVA. If you are planning for a one time food delivery, our deliver service with catering vans would be perfect for you. A catering van rental service is necessary if you wish to properly transport food, with all the regulations about the proper transportation of food in Singapore, you need to have the correct transportation to avoid getting in trouble with the law. It is our job at Rentalorry to provide our customers, with the right vehicles so that they can carry out their business operations without having to worry about the transportation. Upon request, the trailers can also be fitted with the necessary equipment for cooking inside as well. Vehicles that are designated for transporting food should not be used to transport anything else. The cabins also need to be properly sealed to prevent contamination from the external environment. When transporting food and ingredients, it is important to separate the cook food from raw materials. Raw materials may sometimes contain bacteria and germs that will spread to the cooked food if they are transported together. There are optimal temperatures that the different food products should be transported in. For cooked food, they need to be transported in insulated bags to ensure that they are kept above 60˚C. Frozen and chilled foods on the other hand need to be transported at much lower temperatures. For the transportation of chilled goods, we also have the refrigerated vans for rental. The catering vans are suitable for quick deliveries around the island of Singapore as they are able to transport a large amount of goods and also easily go into car parks. However, if you do require larger vehicles with a greater carrying capacity, for also have larger refrigerated lorries or catering lorries. 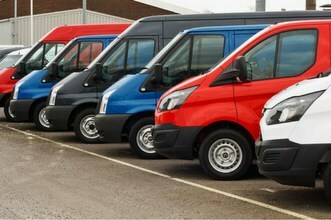 Our vans are built to high specifications using good quality materials. They are put through rigorous testing and certification to ensure that they are able to meet the necessary food safety standards. The quality control with gas and electrical certificates can be provided if requested. Rentalorry offers catering van rentals at very low rates and they are one of the most competitive in the market. We are able to do so because we have a very close partnership with our suppliers and thus provide these vans at low prices. We also have a range of comprehensive packages that cover all maintenance and servicing for your vehicles. These maintenance sessions make sure that the vehicles are in tip top condition so that you are ready to serve your clients each and every time. On top of that, the rental packages also include options to purchase the vehicle as well. If you wish to start your very own catering business, getting a proper vehicle is one of the most essential steps. At Rentalorry, we want to help with that process and ease your worries by giving you a one stop portal to solve all your transportation problems.